Connie Hedegaard, the EU Climate Commissioner, has dealt a blow to the European biodiesel industry by introducing policy changes that will limit the production of food-based biofuels to 5%. The EU has a target of delivering 10% of its transport fuels in a renewable form and while biofuel was regarded as the ideal solution, question were raised about the levels of carbon emissions its production created. Fears of escalating food prices were also raised by green campaigners and these appear to have struck a chord with Hedegaard. The biofuel cap will be regarded as a serious setback for the €10b industry, with companies claiming thousands of jobs will be lost. Derived from vegetable oil or animal fat, biodiesel is regarded as an important fuel in the industry because it’s renewable and creates fewer emissions than standard diesel. However this announcement is likely to cause a rise in biodiesel prices throughout Europe including the UK. Therefore comparing biodiesel suppliers to find the cheapest price is going to become a more established practice. Using a website like Findafuelsupplier.co.uk to source the cheapest price of biodiesel and other fuels is therefore recommended in order to save money. 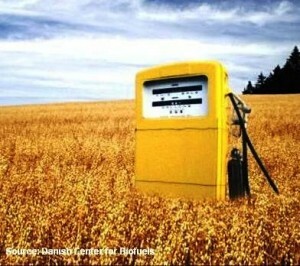 This entry was posted on Thursday, September 27th, 2012 at 8:25 pm	and is filed under Biodiesel, Fuel News. You can follow any responses to this entry through the RSS 2.0 feed. Responses are currently closed, but you can trackback from your own site.